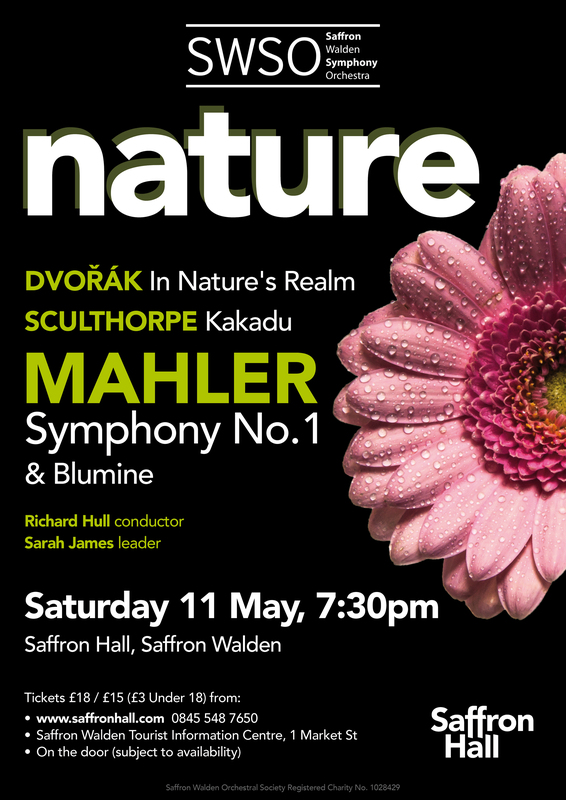 Saffron Walden Symphony Orchestra’s centenary performance of The Planets brought together three fellow composers on Holst’s home soil of Thaxted. Richard Hull excelled in steering this great orchestra through a super evening of music in a glorious venue. Balfour Gardiner’s Overture to a Comedy was a delightful opener which set the wonderfully live acoustic of Thaxted Church ringing. The orchestra delivered a playful performance with notably apt woodwind tone and articulation. The Vaughan Williams was a triumph. It was as if the bird flew in and ascended into the roof space. Muted strings created a smooth swirling mist with glimpses of the sun’s rays elegantly painted in by woodwind and horn. The Lark Ascending was expertly rendered by Jake Walker whose violin playing generated conversations during the interval commending the soloist’s “light touch” and “spot-on performance”. The Planets was a treat from the word go. Mars began with an eerie ‘con legno’ (meaning the wood side of the bow is used to strike the strings) building to a ferocious crescendo. The orchestra demonstrated the full spectrum of tone and dynamics under control here. Venus was handled in a similar way to the Vaughan Williams with flawless string, horn and woodwind playing. Mercury featured some excellent tuned percussion playing on celesta and glockenspiel. Although the music has a familiar feel to it, perhaps in part due to its inspiration for much of John Williams’ Star Wars score, this is not at all easy music to play. Jupiter was a rollicking festival of joyous melody and riotous accents from the orchestra. Old father time ticked gently throughout Saturn leaving us in no doubt that we were now a long way from our home planet. The gentle tolling of bells gave way to serene double bass playing, accompanied sensitively on harp rising to what might be described as an arrival at the pearly gates of heaven. Uranus broke the spell with one of its own. This is Dukas’ Sorcerer’s Apprentice territory (1897) with augmented chords creating spaced out harmonies and a sense of otherworldliness. Final destination: the cold and distant planet of Neptune where glockenspiel icicles and ethereal voices (later borrowed by Star Trek) float out into infinity and beyond. Well done to the choristers for their patience and control at such high register, so quietly and for so long. You are now qualified astronauts. Overall the concert was a huge success. For me personally, there was something unique about hearing the suite performed in the church Holst used to serve. I am sure SWSO made him proud. The conductor, Richard Hull, controlled the forces with authority and skill. "I was so impressed by the SWSO’s performance under the calm and authoritative leadership of Richard Hull. The orchestra was well prepared, had mastered the complexities of Martinů’s score, and executed excellently. Regular attendees of CRSO concerts will know that we love to programme new and unusual works... It was thrilling to be part of a performance of such a rarely played work. I wonder what the SWSO’s audience thought of the experience. My sense was that the work had made a powerful impression in the hall. "My first encounter today with SWSO, and a splendid afternoon of film music, with good introductions to the pieces from conductor Richard Hull. Took me back many years to the last time I attended a concert of Film Music while on holiday in Bournemouth. The orchestra on that occasion was the Bournemouth Sinfonia, and their guest conductor was the great Ron Goodwin! I enjoyed this afternoon every bit as much as that earlier concert! Thanks to all concerned!! 🙂 "